It’s one of the most-asked questions in Australian radio over the past half-decade, but it must still be asked. Where does 2DayFM Breakfast go to from here? As 2018 starts to draw to a close, Southern Cross Austereo’s much-maligned Sydney Breakfast show finds itself in familiar territory. 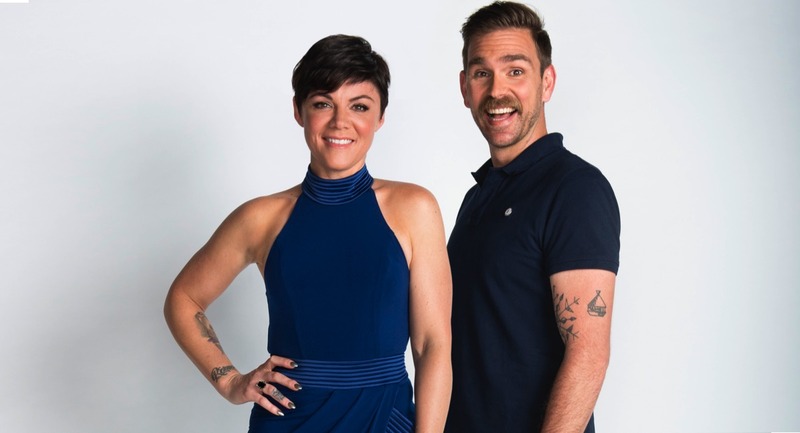 After publicly backing embattled host Em Rusciano to the last, she has now quit, leaving Nights host Ash London as a stop-gap along with seasoned anchor Ed Kavalee and new-boy Grant Denyer. SCA has made it clear that they do not consider London a long-term replacement for Rusciano, at least not at the moment, although she is a firm favourite in betting markets to become a permanent fixture on the show. Whether Kavalee or Denyer will remain on the lineup is no more certain. Having bounced around a number of metro Breakfast markets in recent years, the undeniably talented Kavalee is no closer to becoming part of a long-term show. The inclusion of Denyer at the beginning of 2018 suggested a willingness to try to pull the show out of its slump. The novelty value of the Gold Logie winner aroused the curiosity of listeners initially, but with his television commitments set to ramp up after securing a deal to host new Network Ten show Game Of Games, it would be unsurprising to see the presenter depart SCA at the end of 2018. Prior to Rusciano’s departure, the show rated lower than when Rove McManus and Sam Frost were axed two years ago. And so, it’s almost October, and Groundhog Day has come around again for 2DayFM. Another year of the post-Kyle and Jackie O golden years, and their long-term replacements are no more apparent than in 2014 when they departed. To glimpse what the future might hold, perhaps it’s best to look back. The first attempt to replace Kyle and Jackie O saw a trio of Merrick Watts, Jules Lund and Sophie Monk (with Spice Girl Mel B for six months) start an ill-fated show that was cancelled in November 2013. In hindsight, it was perhaps inevitable that whoever first attempted to fill the shows of Kyle and Jackie O would fail to live up to expectations. Merrick, Jules and Sophie had their moments, and are undoubtedly talented broadcasters and presenters, but the show always seemed to be going for too much, striving perhaps for quantity over quality. Dan Debuf and Maz Compton started out as a duo on Hit Network Nights in 2013, with Angus O’Loughlin as anchor. They were given just eight months on 2DayFM Breakfast before SCA announced that they’d be replaced for 2016. Bringing in a duo that was as fresh as Dan and Maz was a bold move from SCA, but in doing so they ran the risk that the show mightn’t have been quite as polished as a more established show. There’s now a growing sentiment that the duo should have been given the time to develop, instead of called up to the big leagues with unrealistic expectations. 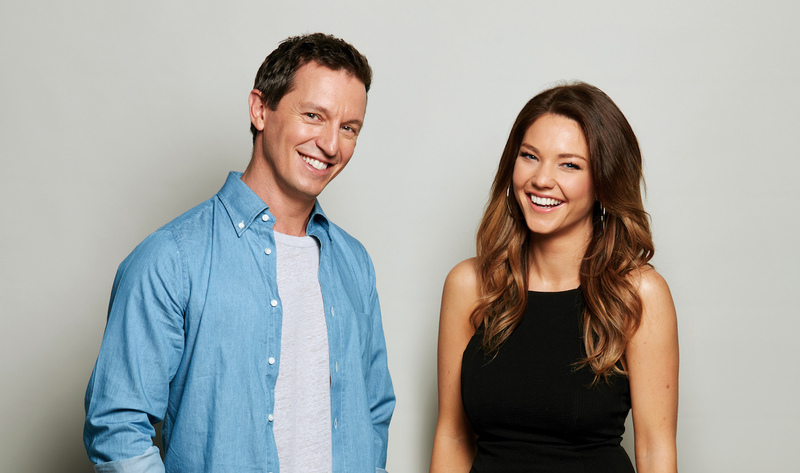 Tapping up experienced television presenter Rove McManus for Breakfast must have felt like a coup for 2DayFM, and partnering him with reality TV star Sam Frost had the potential for success. Unfortunately, it once again wasn’t to be, and much like Merrick, Jules and Sophie, this felt like a panicky move. Both personalities failed to translate their success on TV into the medium of radio. Last year, SCA went down a different path once more, pairing up comedians Em Rusciano and Harley Breen. 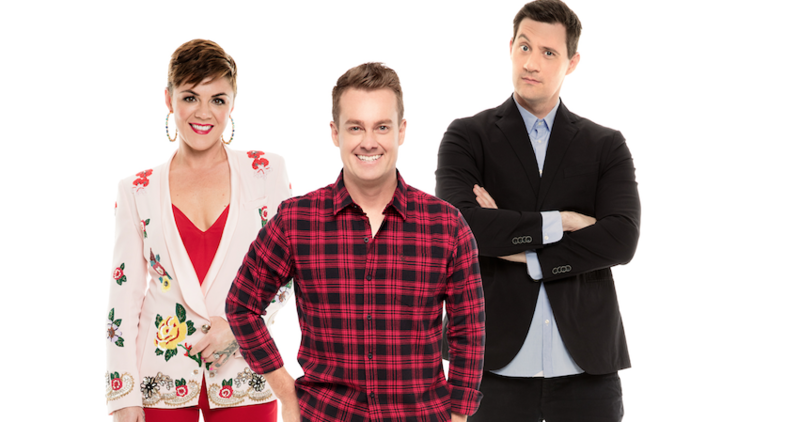 The fresh injection again failed to lift the ratings in a meaningful way, and Breen left of his own accord, replaced by Denyer and Kavalee in 2018. Yes, five Breakfast shows in five years is a lot. But only the naive would suggest that 2DayFM Breakfast can’t be saved. Despite everything, 2DayFM still has a lot going for it. It has the backing of Australia’s biggest radio network behind it, and SCA knows what success tastes like – with Hit105 Brisbane and Fox FM Melbourne Breakfast both #1 as of Survey 5. 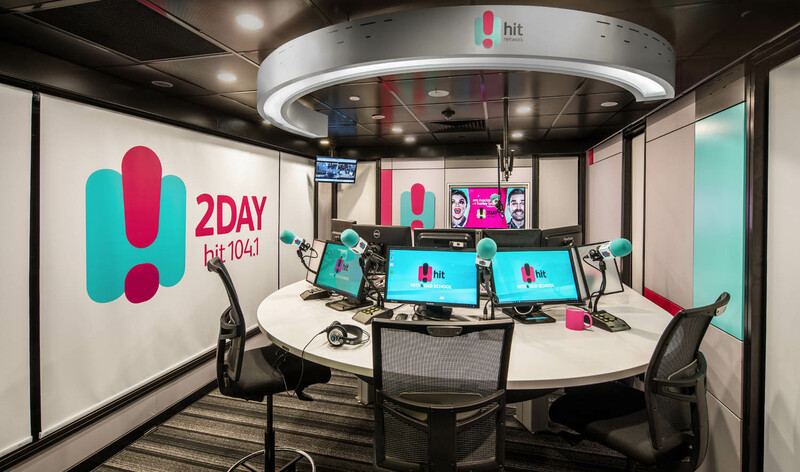 2DayFM is also a legacy brand and managed to attract the hugely successful Hughesy and Kate to the network less than a year ago. The new ‘More Music, More Variety’ music strategy has been backed in since the start of the year, and is helping to create a point of difference for the station. But the longer that SCA goes without a successful show on 2Day Breakfast, the deeper the poisoned chalice metaphor goes. The questions that will be asked behind the scenes right now are many. Does the network back Kavalee and Denyer as a duo for 2019, and if so, is it worth persisting with London or bringing in another female voice? Who else could fill that role? Alternatively, perhaps it’s time try another seasoned duo or trio to bring in listeners for an attempt at a swift turnaround. This option could be difficult, as the falling reputation of the show also means it is becoming exponentially harder to attract an established talent. So which current show could they pull to make a real difference? 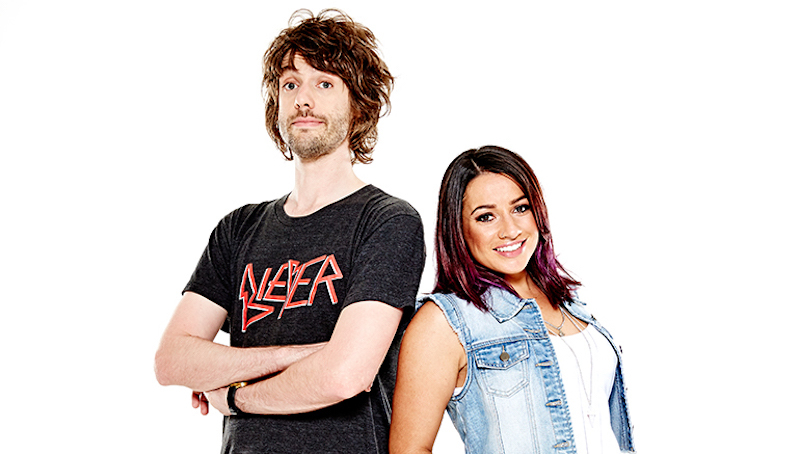 There are also plenty of voices calling for a young show to be backed in, and given more than three quarters of a year to establish themselves, much like ARN have done with KIIS Melbourne Breakfast duo Jase and PJ this year. Or could 2Day go down the path of a music-oriented Breakfast show in a similar style to smoothfm. This would entirely alleviate the need to pull big personalities, and could provide another point of difference to their main competitors. The time to ask these questions, and indeed to answer them, is running out. They should do a breakie show like Radio 1 in the UK. Solo host, more music, fun games and banter with listeners. I would be a big POD I reckon. Great insight and comment RT. Would like to see more analysis like this. Steal Will and Woody for 2Day breakfast they’d do great. The new Hamish and Andy cough. The first step would be to get Ed Kavalle to do the show from up in Sydney. The second step would be to get Grant Denyer to move and do the show from Sydney. How many bites of the cherry do the SCA execs want. This is an embarrassment to the entire radio industry and SCA shareholders. Mybe it’s time for 2day to head back to it’s roots. Return to an Adult Contemporary playlist and as previously suggested, a solo breakfast host. Someone already seasoned to Sydney radio. Get Danny Lakey on there and give him a free pass to make some headlines! Could you let Ed build a show? Hes got the talent and would have a great network to tap into and get on board, allowing him to work more with people he knows well. Whether he’d be able to commit is a concern. Melb-based, young family, tv, podcasts etc. Bring back Dan and Maz! Not that easy, is it? Stop the sounds of people laughing in the background 2day fm, its annoying. Yiu cant concentrate on what the host is saying because some goofball is having a hysterical laughing fit in the same room. This is a network with stacks of announcers and shows at their fingertips, and they keep throwing together “names” that they hope will lure people in. It’s a tactic that hasn’t worked, so stop trying. Let’s use that much lauded “talent pipeline” and Hubble to find a fresh show and give that a shot. Osher Günsberg should do a Ryan Seacrest style show, like on KIIS FM Los Angeles. So here’s the deal. Radio isn’t getting “new” listeners so the pool of potential listeners is finite. 2day only can really take listeners away from KIIS or Nova….if you listen to Kyle and Jackie O everyday are you really going to make the switch to listen to Ed, Grant and someone else? Really? I think if Dan and Maz were given more time they would have been real contenders- they were a young and fresh but 2Day panicked. All the others listed above- are you really going to leave Kyle and Jackie O or Fitzy and Wippa for those shows?! Very succinct article but you fail to mention that the only people who keep getting the chop from SCA for the 2Dayfm debacle is the on air personnel ( and Craig Bruce ) This doesn’t seem fair. After 4 years of failed lineups ( and failed strategies ) surely something has got to give at SCA ?